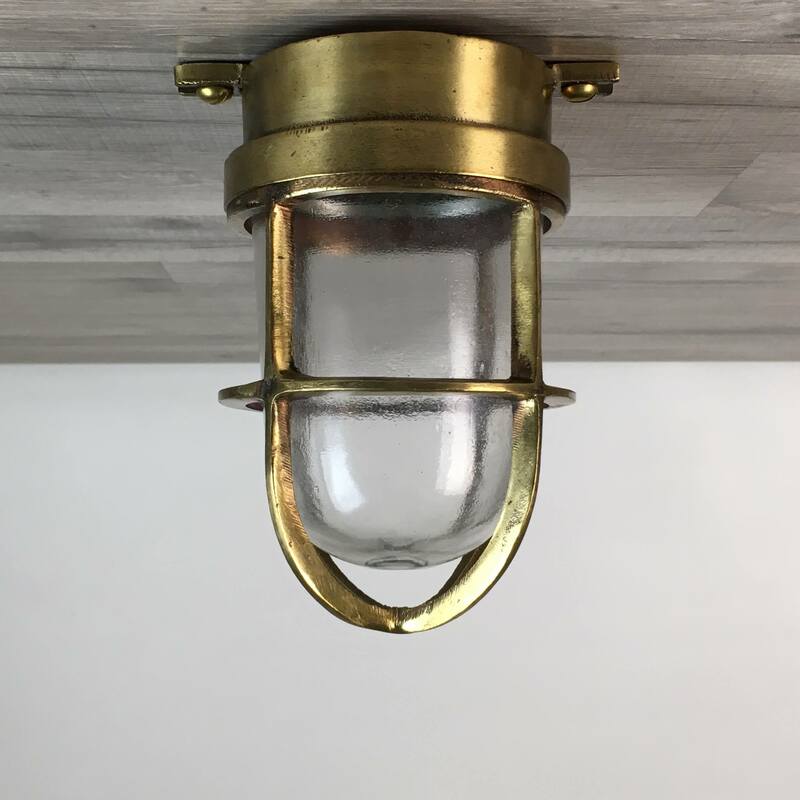 This vintage brass ceiling light with deflector will extend down from the ceiling by 8 1/2 inches. 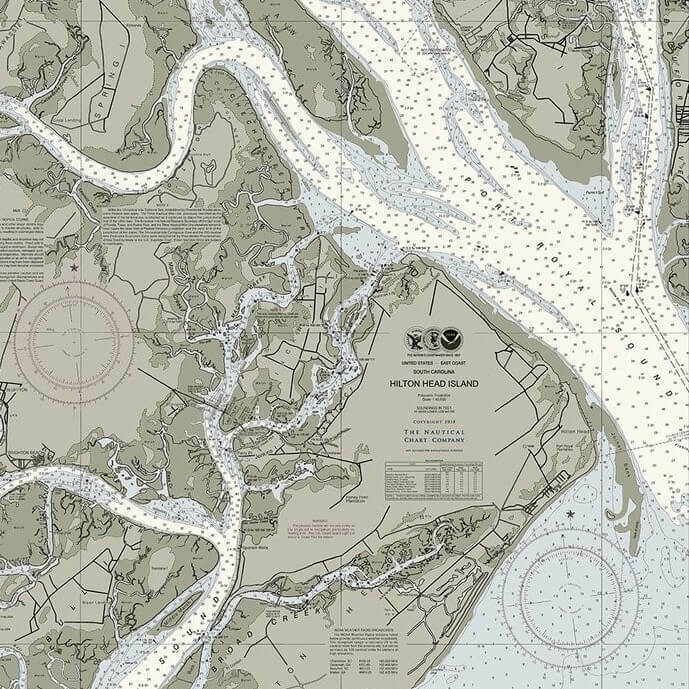 The brass deflector cover measures 10 3/4 inches in diameter. The ceiling plate measures 6 inches in diameter and has 4 bolt holes. This light is re-wired, including a ground wire and is rated for up to 250 volts. The bulb socket is UL-Listed. The bulb holder takes a medium base bulb of 75 watts or less, or you can use the newer compact fluorescent bulbs or LED lights with an Edison base. To access the bulb area, simply spin off the brass cage and glass globe. The top of the light has a small drill hole for the wires to exit the light. 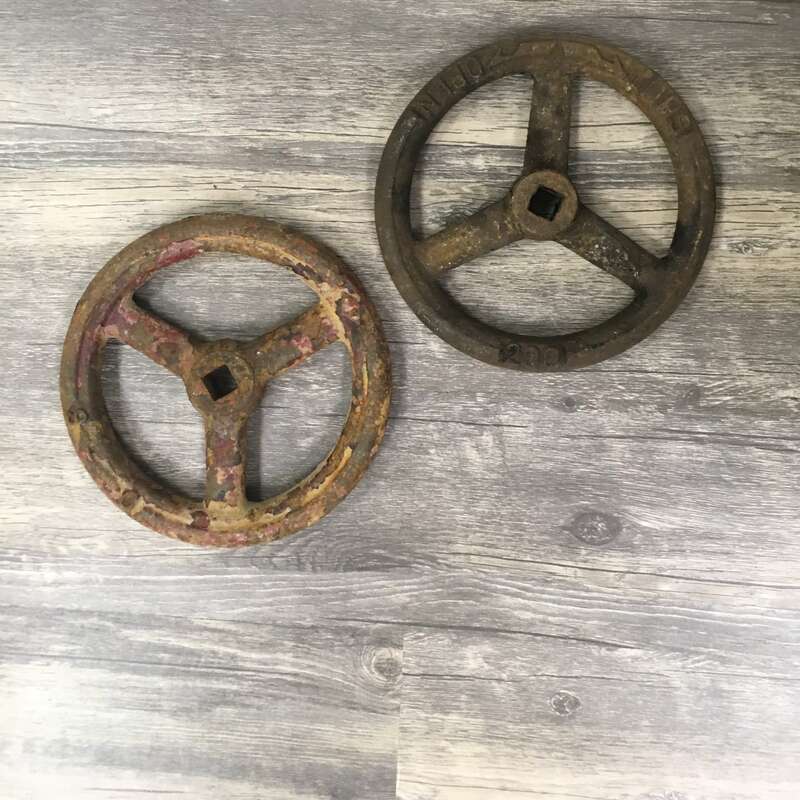 You will be shipped a vintage brass ceiling light with deflector.